Sign Frame System Components, Modular | Made of Styrene | Signage Holders | Clip Strip Corp.
We carry 2 different size stems, 4" and 8"
Our Sign Frame System allows you maximum flexibility at a minimal cost. 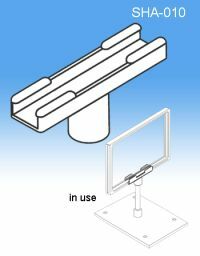 Combine the size of Sign Frame that you need, with a Stem Mount, Stem and Base. Let's say that it was for a counter top and a Center Stem Base with an 8" Stem was perfect for your promotion.The combination assembles in seconds and you re ready to go! Perhaps the next sale promotion is for items displayed on a gondola. You can use the same sign frame and stem, but switch out the base for a "Magnetic" Stem Base which allows you to securely place it on top of the steel top cap of the gondola unit. Need a larger sign? Leave all the other components in place, but substitute the Sign Frame with a larger size frame and you have a larger sign holder. Made of strong and durable materials our components can be changed and substituted as many times as you like! 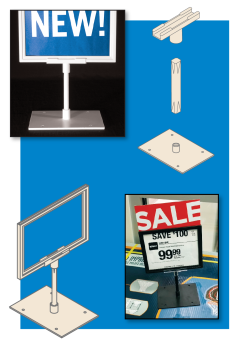 These Point of Purchase display signs are a widely used sign frame systyem, used in many different kinds of retail, business, service or government outlets where communicating a message to a target audience is an important part of achieving your goals whether its product sales, a service or an important message. 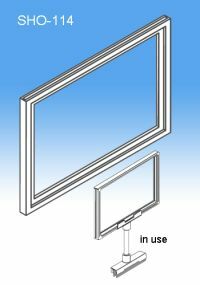 Minimum quantity for "Sign Frame 7" W x 5 ½" H, SHO-557" is 10. 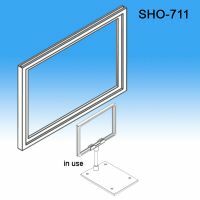 Minimum quantity for "Sign Frame, 11" Wide x 7" Tall, SHO-711" is 10. 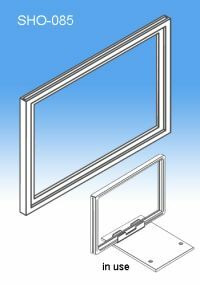 Minimum quantity for "Sign Frame 8 1/2" x 11", SHO-085" is 10. 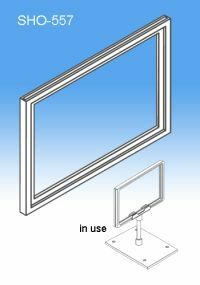 Minimum quantity for "Sign Frame, 11' x 14", SHO-114" is 10. 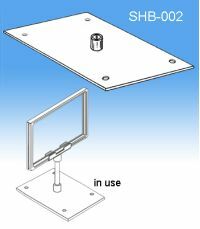 Minimum quantity for "Sign Frame Center Stem Base, SHB-002" is 10. Minimum quantity for "Sign Frame Single Stem Shovel Base, SHB-006" is 10. 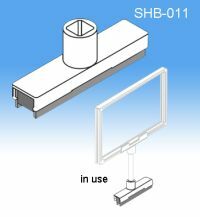 Minimum quantity for "Sign Frame Magnetic Stem Base, SHB-011" is 10. 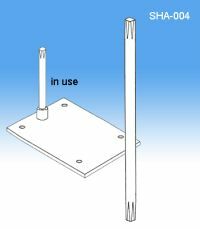 Minimum quantity for "Sign Holder Stem 4", SHA-003" is 10. 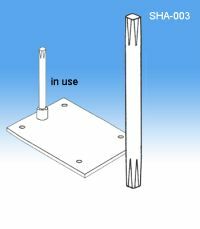 Minimum quantity for "Sign Holder Stem 8", SHA-004" is 10. Minimum quantity for "Sign Frame Stem Mount, SHA-010" is 10. 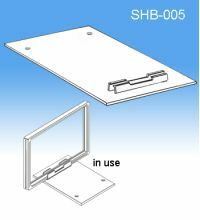 Minimum quantity for "Sign Frame Flat Shovel Base, SHB-005" is 10.